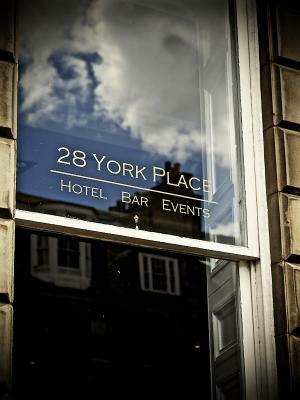 Lock in a great price for 28 York Place Hotel – rated 8.7 by recent guests! 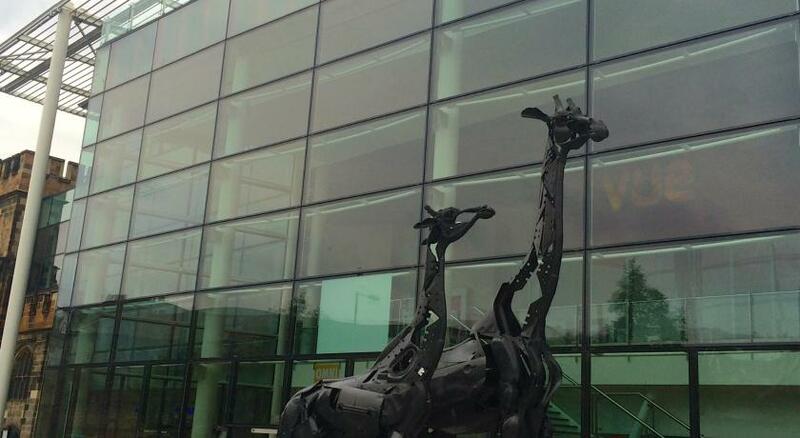 The staff were very gracious and helpful, and the location immediately by the tram and bus station is very convenient. We were in Holyrood Room with 2 twin beds. The room was spacious and clean. The bath was updated and clean. Everything in the room worked. Pillows were a little hard for me but that is a taste thing rather than a problem. Location is good. It’s still a bit of a walk to the Royal Mile if its raining or cold but in good weather it would be fine. For the price it was a very good room. Our first room had a very small double bed and they were very helpful and moved us for our second night to a room with a much larger bed, which was perfect. 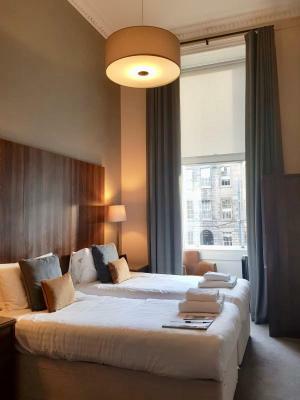 This is a lovely wee hotel right in the centre of Edinburgh within walking distance of the Playhouse, so it was ideal for our night out. My husband and I had a great night away, and will be talking about it for weeks! The rooms are comfortable, clean and spacious. The staff were very friendly and helpful, and we got a great vegetarian breakfast in the morning which set us up for the day ahead. 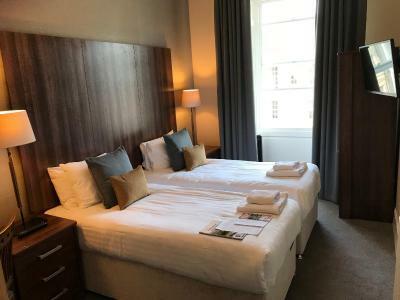 We had a wonderful stay and would recommend this hotel to anyone looking for a nice, reasonably priced hotel in the centre of Edinburgh. Gordon kept our small bags locked up for us for 2 hours after we checked out. I wrote about this hotel for another reservation we had there for a friend, where I wrote in detail. Basically, I loved everything about this hotel, and I've been in a few. There is very little to say about this hotel that is not good. 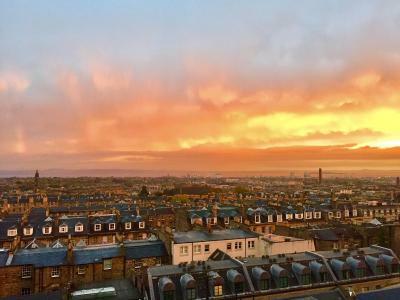 It was lovely, clean, welcoming, terrific breakfast area and bar with lots of sunlight, comfortable beds, good breakfast, informed and interesting young manager, well-maintained older building with lots of grace - just stay here and find out. Oh, and it's a short walk to the train station! The location is great! It made it super easy to walk the city. Also, there is a bar/cafe in the hotel where they serve drinks all day. It's super cozy and a great place to refresh after being out. The room was clean, had what we needed, and there was a pretty good view from the window. Nice bathroom. 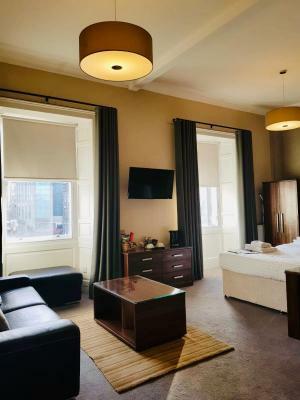 Good location too, only a short walk from the train station and not too far from the Royal Mile. 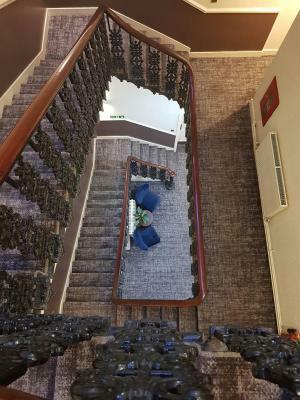 28 York Place Hotel This rating is a reflection of how the property compares to the industry standard when it comes to price, facilities and services available. It's based on a self-evaluation by the property. Use this rating to help choose your stay! 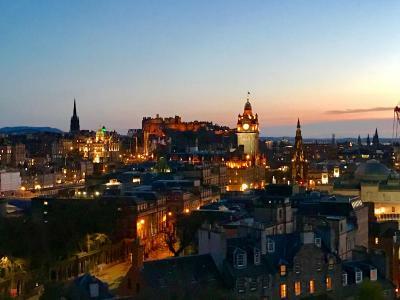 In the heart of Edinburgh, a 5-minute walk from Waverley Rail Station, 28 York Place Hotel offers a lounge bar, free WiFi and bedrooms with views. 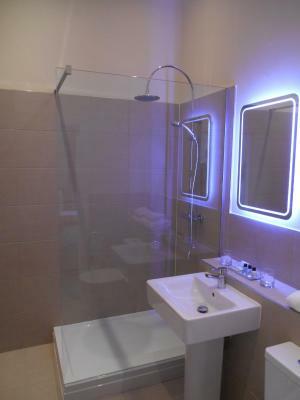 Each standard bedroom has private bathrooms with a bath and a shower. 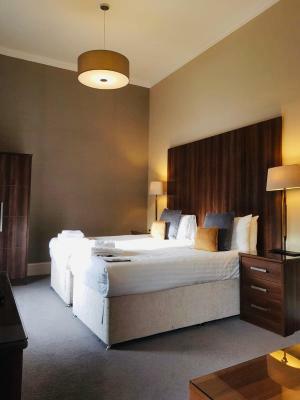 Deluxe double rooms boast a modern en-suite shower room with a walk-in shower. All rooms have a hairdryer and handmade Scottish toiletries. 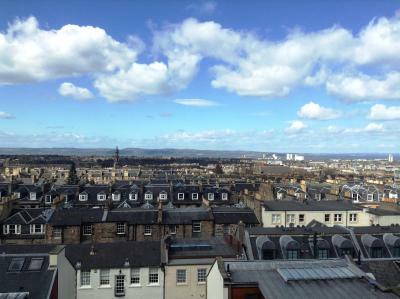 Some rooms overlook historic York Place and the others have views over Edinburgh’s landscape, the River Forth and stretching to the Kingdom of Fife. 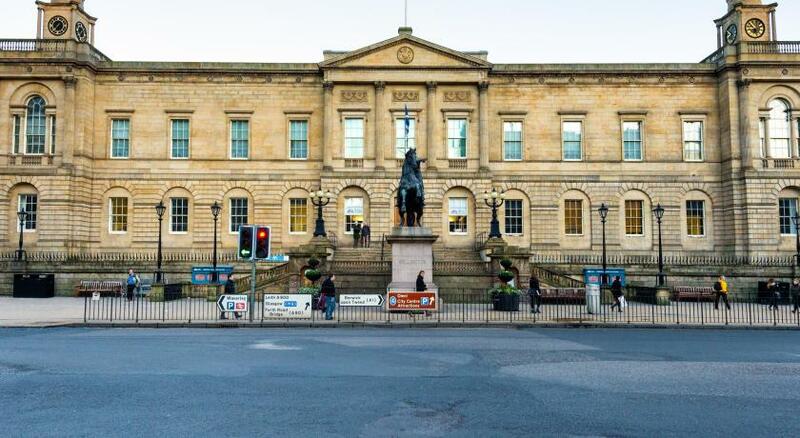 Princes Street is also just 5 minutes’ walk from the hotel and Regent Gardens is 10 minutes’ walk away. 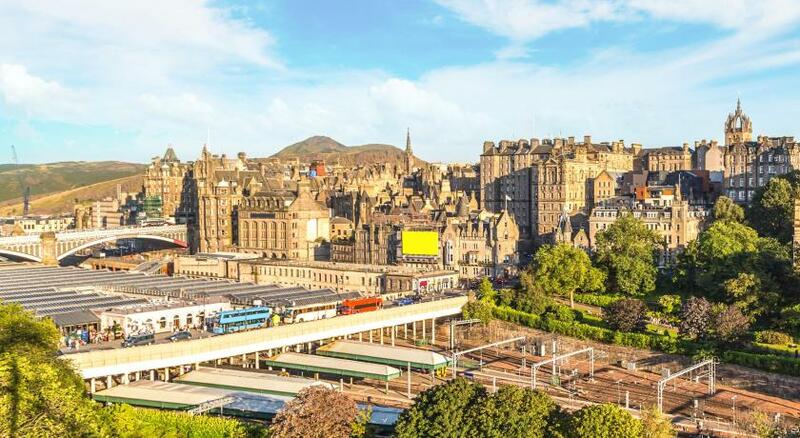 Edinburgh Airport is a 30 minute tram ride away. 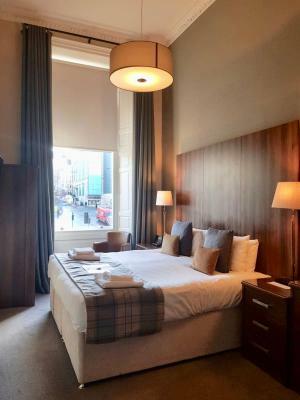 When would you like to stay at 28 York Place Hotel? 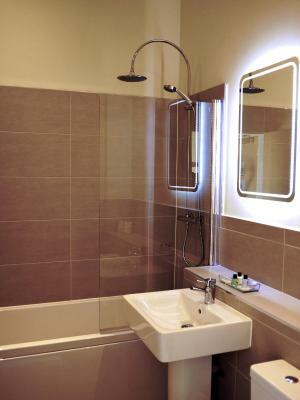 This room features private bathrooms with shower over bath and handmade Scottish toiletries. 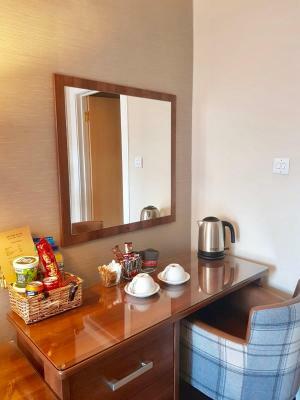 A TV and tea/coffee making facilities are also included. Please request double/twin when booking using the Special Requests box. The superior room is a larger room and can be made as a double or twin according to your requirements. Guests can relax on the sofa in front of the TV and make use of the tea/coffee making facilities. 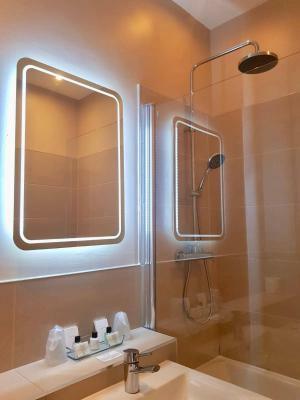 An private bathroom with shower over bath and handmade Scottish toiletries are also included. 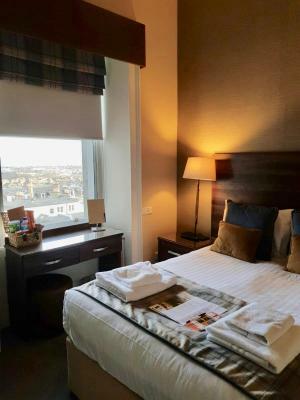 With views over the city towards the Firth of Forth and the Kingdom of Fife, this room offers an armchair and a modern bathroom with a mist-free mirror. 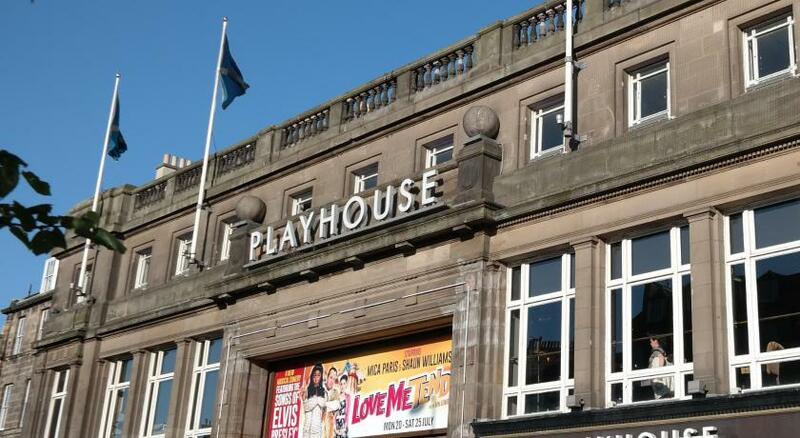 House Rules 28 York Place Hotel takes special requests – add in the next step! 28 York Place Hotel accepts these cards and reserves the right to temporarily hold an amount prior to arrival. Please note that the parking is limited. Breakfast is served Monday to Friday 08:30 until 09:30, and Saturday to Sunday 09:30 until 10:30. Please inform 28 York Place Hotel of your expected arrival time in advance. You can use the Special Requests box when booking, or contact the property directly using the contact details in your confirmation. 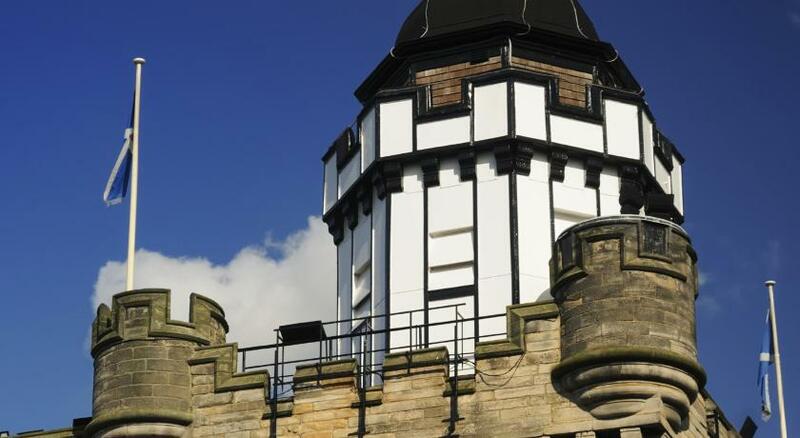 It is ideally located - about 10 minutes from the train station. 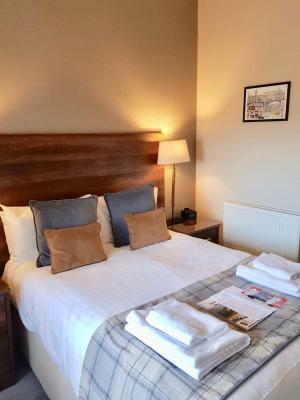 The room are big with space and a nice view on the town! Large corridor to access the room and well sound proof ! 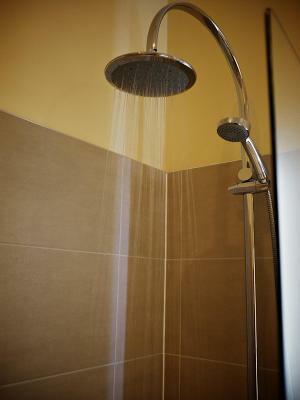 The bathroom is cleaned with an Italian shower. The staff is friendly. Room was tiny to the point of claustrophobic. Bathroom could have been cleaner. Staff although very nice did not explain anything that would have been useful. The location was very good and view from the window beyond the ugly extension was quite wonderful. All the stairs after walking around Edinburgh! But the view was worth it. Great location. 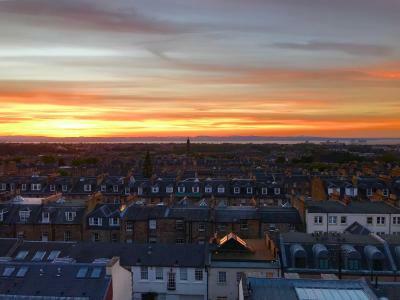 Amazing views towards the Firth Of Forth from back. Staff very friendly and helpful. A little traffic/street noise, but only on the front rooms. 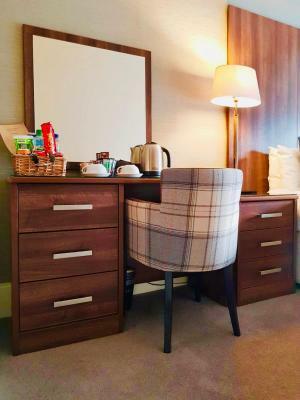 Stylish recently refurbished room with great city view. Really friendly host. I had requested twin beds, but we were given a double. 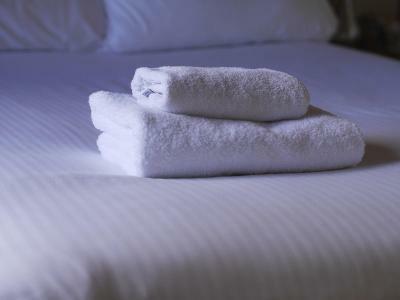 Great service,, wonderful rooms, clean, silent and recently renovated! The room size a little bit small. The location is great. Near the train station. We came in early, the staff took care of all our (heavy) luggage and brought it in our rooms before we came back for check-in. The bar was still open when we returned from our evening out, good collection of drinks!